Feature: Bulk 1000 capsule bottle - 550 mg per capsule - maximum savings and FREE SHIPPING! 7 years and no sickness. I've been taking one of these a day for about 7 years, and have not had a single cold. Or a flu - or been sick in any way shape or form. Came across your products while researching a way to strengthen my immune system. Your olive leaf caps have helped me stay healthy this flu season. Your bulk 1000 count is a great value! I started taking olive leaf capsules 2 years ago hoping to lower my cholesterol. The first year I only took 2 a day and didn't see much change, so last year I started taking 5 each day and was SHOCKED when my last blood test showed that my cholesterol had dropped 51 points! While it is still a little high (I expect it to continue to drop), my doctor was pleased and didn't bring up statins (like he had during previous visits). What a Blessing! I love this product. I been taking these for about 1 yr. I take 4 a day. I haven't gotten sick with no flu or a cold. I have energy i look forward in taking these capsules everyday. I love anything natural healthy and organic. This stuff quite possibly may have saved our lives! Hubby and I got sick with the flu a few weeks back. I remembered we had these capsules. Started taking them every 3 hours & hubby recovered the NEXT day even though he had a 103.5 fever! First time that's ever happened when he's gotten sick....all because we took these capsules! I will never NOT take these again and am so grateful that these folks offer them here at a reasonable price! Thank you Olivus. I've referred so many people to your company! I love this product and have been using it for about 6-7 years now. My husband & I take the Olive Leaf Capsules twice a day for keep us healthy. I love this product and have been using it for about 6-7 years now. I purchased this product last year and I still have about 5 weeks left worth of product. This be far has been the best value for me. I started taking Olive Leaf around 2 years ago and I saw a dramatic drop in Outbreaks. I contracted Herpes in 1994 and have suffered more than 5 outbreaks a year. With this product I'm down to 2 per year at the most. Love this product and will purchase again very soon! I recommend this product.. I highly recommend making a purchase from Olivus. I got my 1000 capsules but there was a problem with my product container. I called within 5 minutes of opening and Spoke with Wayne who quickly and professionally addressed my issue. Straight away he sent out a replacement. The olive leaf came highly recommended to me from a friend which is why I bought it but honestly, the customer service is why companies like this are success's. A quick resolution and professional handling go a long way in today's society so I highly recommend making a purchase from Olivus. I've been taking these gems for 6 months now and have been feeling great. They have given me a boost in energy and have helped me ward off some nasty virus up here in the north. Just started using Olivus Olive Leaf capsules with 25% Oleuropein Extract and am pleasantly surprised. I take four capsules per day and actually look forward to taking them. Each time I have taken them I feel more energetic and alive. Can't wait to see what's in store for me as I continue to take them in the future. I will reorder a larger quantity as the 60 capsule supply does not last very long. My husband and I both love olive leaf, it keeps us from getting the cold and flu. Also ever since being on olive leaf my husband no longer gets cold sores. Good stuff love that we can buy it in bulk so we always have it. I am ordering a another jar of 1000 capsules because I can't believe how healthy we have been by taking Olive Leaf. We were getting low, so we cut back and my husband got his first cold in years. His arthritis also seems to be affected by our miserly approach. I have autoimmune issues (IBD, Thyroid,etc.) and I can really tell when I am not maintaining my daily dose. I highly recommend this for adults and children to stay healthy or to build immunity. Sometimes you wonder if something is working and don't really remember how it gradually made you feel better, but you surely know when you end up getting sick and haven't been for years because of a product. Love it! This product amazing when I was first diagnosed with ....... I was ill for about a month with no relief nothing I tried from the doctors and other sources worked. I was experiencing extremely painful prolonged breakouts with flu like systems ever since I contracted ........, with these capsules I've had one break out when I stopped taking the pills for a week got busy and forgot I increased my dosage during the breakout and it was all clear within 2-3 days. I can't say enough good things about it I have such a weak immune system I've been suffering from constant colds, strep throat, mono, and the flu but with this product in my life I feel better than ever health wise. I had a nasty herpes outbreak which lasted for almost one month. This was the worse outbreak for me ever. Desperate for relief I began searching the internet for a possible product that would give me relief. Eventually I stumbled on the Olivus website and read the material posted about the olive leaf. Hesitantly I decided to give the olive leaf a try. I ordered the Organic Olive leaf capsules- the bulk 1000 count Jar. Upon one week of taking the capsules, three a day, I was amazed to have experienced great relief from my condition. I now swear by the olive leaf as an inexpensive potent herpes remedy. It is now a part of my daily supplement regime. In addition to my relief from herpes I have also experienced other great health benefits. r I really love this product. great product and price. I bought this product after reading that olive leaf had been found to clear up recurring ear infections in dogs. I figured I'd try it as I would no sooner get the ear infection cleared up in my GSD (I know, it's odd in that breed, but they are nothing if not unpredicable) than it would be back in a week. We tried various meds and washes, changing food - ridding her diet of grains, soy, dairy, poultry, etc. Nothing worked until this. I also want to say that I read that olive leaf could benefit cholesterol - it did. My bad cholesterol went down to within normal range and good up even more. So in a way, I benefited from my dog's ear infection. This is a great product, and I highly recommend it. Needless to say, this container will be on my counter for years to come. Q: Which product is the stronger remedy against herpes attacks, Organic Olive Leaf 1000 capsules or Olive Leaf Max 300 capsules? 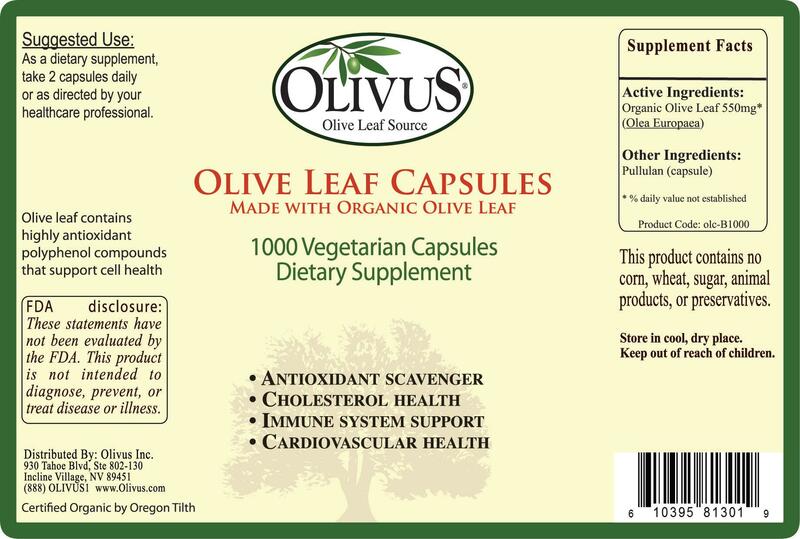 A: OliveLeafMAX capsules are stronger than the organic capsules by most standards. Both are made from olive leaf and will have the same benefits. The organic capsules are more cost effective even when taking twice as many per day. Some experts prefer the unprocessed organic approach which is why we offer both types of capsule products. Q: Any way to minimize the detoxing effect of olive leaf? I bought your tincture so I can judge the dosage more accurate and start slow on my dose. A: The best way is simply take less of it until your body adjusts. This may take time so skipping days for very sensitive people is recommend. Then as your body allows ramp up to higher amounts slowly to avoid "detox" or "die-off" effects. Q: What is the difference of product olc-Max300 and old- B1000? A: You can read about the difference on our Capsule page here: http://www.olivus.com/Capsules_c_42.html or scroll down since this has been asked before. Q: How much oleuropein is in each capsule? A: These capsules contain the naturally occurring amount of oleuropein of 1-5%. For those wanting maximum oleuropein please try our OliveLeafMAX extract capsules or powder extract. Q: Does this product contain gluten? A: No this is a gluten free product as are all our products. Q: Is the 1000 count olive leaf extract capsules the exact same as the 300 count bottle. 25% Oleuropein extract? Q: where's the Country of grown and Manufacture of this product ?? A: All our olive leaf is from Spain and California, and is documented and certified organic. Q: What would be the expiry of these how long does a batch usually last in general ? A: This product has a 2 year shelf life (Best Used By Date) from the manufacture date printed on the bottle. Q: I saw this larger quantity of OLE & would like to know if you ship this to Canada? A: Yes we ship to Canada. 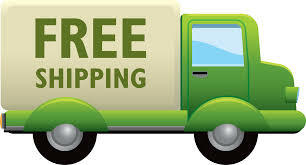 Shipping cost is shown on the checkout page when you enter your address. Beware of Canada's customs fees which they sometimes charge. Q: is this product 25% or more pure oleuropein extract? A: No, this capsule contains 15% oleuropein. Our other capsule type (OliveLeafMAX) contains the 25% olive leaf extract. Q: You have two products...one olive leaf extract capsules with 25% Oleuropein (250 mg), Olive leaf powder (250 mg) Orange label 300 capsules and you have the bulk 1000 capsules that has olive leaf olea europaea (590 mg) Besides the jar size what is the difference. I am looking for help with shingles and general flu cold help for the winter. Can you tell me the difference between the two? 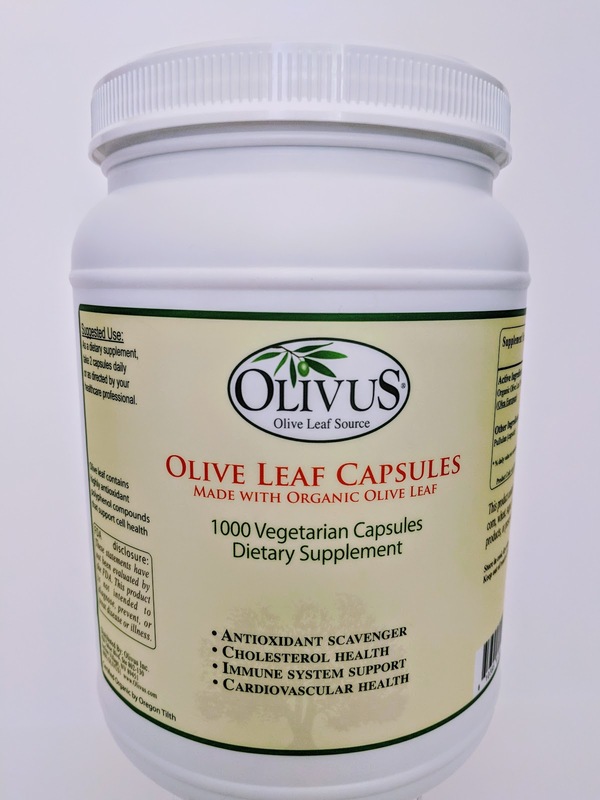 1) OliveLeafNatural capsules - For preventive and health maintenance made with 100% certified organic olive leaf powder (no fillers), comes in 100 & 1000 count bottles. A: The amount varies usually between 1-5% since this is an all natural organic capsule. It is not standardized for a certain percentage of oleuropein. 2) OliveLeafMAX capsules - When feeling under the weather, for higher strength made with 25% Oleuropein extract plus organic olive leaf powder (no fillers), comes in a 60 & 300 count bottles. Q: How much oleuropein is in Olive Leaf MAXCapsules? A: 65mg minimum based upon the standardized extract used plus the non-standardized amount in the organic olive leaf powder. A: We use leaf grown in Spain and California only. All leaf is documented and certified organic. Q: I'm not sure if the ones with 25% extract or the bulk 1000 capsules with pure olive leave is more potent or the better bang for buck. What do you recommend? A: We recommend this product for general health maintenance since it is more cost effective. We recommend OliveLeafMAX extract capsules for fighting health conditions....although we can not advertise our products as a cure or treatment for any health condition per FDA regulation. Q: What is the shelf life for this product? A: The shelf life is 2 years from the manufacture date printed on the bottle with proper storage conditions of course: away from direct sunlight, excess heat, and moisture. Do not store in the refrigerator or it will create moisture. Do not store in a cupboard near your stove where it could get hot. Q: Is the powder tested for mold and yeast counts and if so, what are the results? Q: About product n it's benefits ? Q: what is the shelf life of the capsules? A: The shelf life is 2 years from the manufacture date printed on the bottle. Q: Regarding the bulk 1000 count item, can you tell me if each pills contains Oleuropein ? Is it the equal as your 1 pound bulk item ? I bought some and started to take some 5 days ago for a skin problem and my skin has improved by 90% !!!!!! Thanks ... this is such a benediction. I have an other order to pass... but i want to make sure i am getting this precious Oleuropein compounds ! A: Yes this product contains oleuropein a does all olive leaf products. We are glad olive leaf is helping your condition. Q: what is the percentage of oleuropein in each capsule? A: The naturally occurring amount is between 1-5%. Q: How safe are these capsules in pregnant women? A: Olive leaf has no known side effects for pregnant or nursing women or the baby. Please consult your doctor prior to taking olive leaf if you are pregnant or on medication.